I’m participating in a 31-day blogging challenge called reverb10, responding to writing prompts that are designed to elicit reflections on 2010, and hopes for 2011. You can find out more about it here. 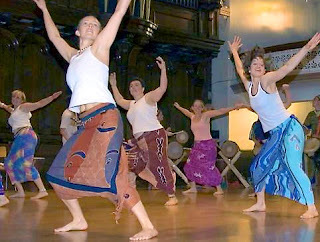 Most recently I have begun to find elements of community within the African Dance class I have been taking. Lynn Weaver at Moon Dance has been working hard to build community in several projects she has organized (including the Shawnigan Lake Street Festival) and for that I am grateful. It has made finding people easier for me here in a new place. Also, Earth Traditions of which I am a founder is all about building community, reconnecting us to each other, to ourselves, and to the land. This labor of love as at it’s core vision the idea that community is deeply important to all of us and to our planet.